Venezia Autentica is trying to improve the future of Venice and the Venetians by changing the way we see and impact Venice, delivering news, info, entertainment, and tools to hundreds of thousands of people around the world. It is an open resource to enjoy the city like a local and it contributes to the local economy. We spoke to Valeria and Sebastian, Co-founders of Venezia Autentica to tell us a bit more about what went into developing their business and sticking to their mission of helping the city of Venice. 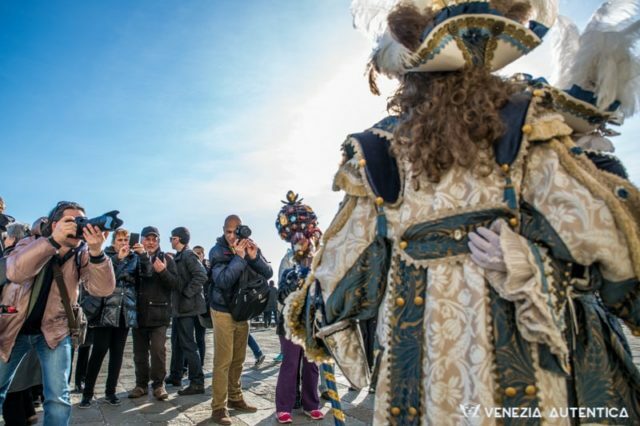 For several months we had been discussing the need to do something about the issues caused by mass tourism in Venice and especially to help the Venetians in their fight to continue living in their city. One day Valeria remembered how she felt about Venice and the Venetian lifestyle on her first visit and how she wanted to discover the real Venice, its culture, and the people living there. She realized she couldn’t be the only tourist feeling this way and that there were for sure more people who felt like that. We knew that mass tourism was harming the city and that Venetians were greatly outnumbered in their fight against it, but we understood that there were millions of responsible tourists out there who could help change things if they knew what to do. All we had to do was to create the rights tools to make it easy for people to discover and support the authentic Venice and involve as many caring people as possible. We believe that we can make a real difference in Venice and we know that our work is already helping people. We receive feedback on daily basis from visitors who visited Venice or are planning to do so. They thank us for our platform and local artists and shop owners are very thankful as well. We want to help Venetians stay in business while guaranteeing a more rewarding experience to visitors who follow our recommendations, so these messages give us a lot of energy to keep on pursuing our objectives. At the moment we are facing three main challenges. The first challenge is connected to Venice, where there is no real startup ecosystem, so starting up in Venice is very lonely Startup costs in Italy are high, taxation is high, the cost for hiring is high and of course, you can’t hope for tax exemption. Our biggest challenge is management. Creating your own company requires constant project management, time management, energy management and finance management, sprinkled with countless hours of work and no day off. For us, 80 hours of work per week is the norm. Another challenge we face is time itself, as Venice’s future is at stake now and that there is only a short time window available to change things for the better. We have to be fast if we want our mission to be successful. If we would have to pick an animal that represents our mission, we would pick a cat. In the past, Venetians had one deadly enemy: the plague that spread by rats. Since the Black Plague in 1348 Venice relied on cats to keep the rats’ population in the city under control. In the past 65 years, a different kind of plague has lead Venice to lose 75% of its inhabitants. The modern plague we are talking about is mass tourism, and we would like for Venezia Autentica to be seen as a Venetian cat which helps to protect the Venetians from this modern plague.